The Other Israel is an urgent and passionate intervention by Israeli citizens challenging the continued occupation of Palestinian territory and the failed policies of Ariel Sharon’s government. 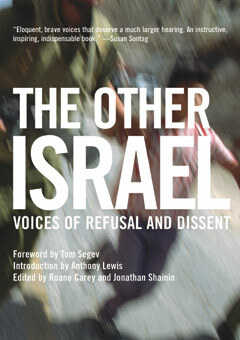 Against a backdrop of increasing violence on both sides, the book presents a broad range of dissenting voices that articulate practical, legal, and moral objections to the occupation. Written from within the throes of the unfolding tragedy, it includes contributions from journalists, novelists, activists, military reservists, and former government officials. Needed now more than ever, this book challenges narrow American perceptions of public opinion in Israel, and will act as a catalyst in prompting vital debate about the future of Israel and the path to peace for all citizens of the Middle East. Jonathan Shainin is the long reads editor at The Guardian.